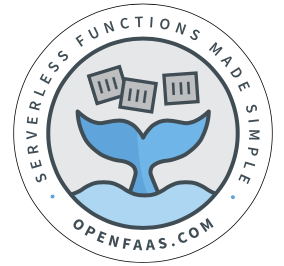 In this post I'll show you how to make use of storage for your Serverless functions with OpenFaaS using Minio - a lightweight S3 alternative. That means you can run your functions with storage on any cloud on your own terms. Block storage is effectively like a disk mounted on your PC or within a container. You can read/write exactly as if it were an SDD or HDD plugged in to the physical host. No changes needed to code, just pick the "path" or mount. Object storage as popularised by AWS S3 provides an API where a binary object or file can be stored or retrieved. Block storage is usually attached through mounting a volume from the host directly to the running container. This often causes unexpected behaviour with file permissions. When you start to do this across a cluster mounting a volume from a ephemeral host doesn't make much sense. Network-distributed block storage like Ceph aims to solve this problem. A good example of where you would want this kind of block storage is with an existing application such as a Postgres DB or legacy system. It should be considered an anti-pattern to attach permanent storage volumes to a function. That means we should evaluate the other options such as using APIs and Object storage. In this tutorial we will setup Minio and write two Serverless Functions for OpenFaaS that work together to process images in a pipeline. You can then take that template and make it do whatever you need. These are the pre-requisites for the tutorial, you'll need to configure OpenFaaS before you start. We will build up the code as we walk through the tutorial but you can grab the full example here from GitHub. 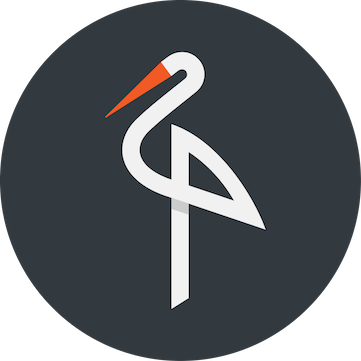 You can setup Minio in a few minutes by following the official guides for Docker Swarm or Kubernetes. Important you must take note of your AccessKey and SecretKey which are used to access storage. When working with Minio it's useful to install the mc (minio-client) CLI. You can use it to copy files in/out of buckets and access remote servers. Please download the Minio Client (mc) here before continuing. When you run the Minio Server for the first time it will print out a command for configuring your mc client - i.e. Each Python function you create gets its own folder for the handler.py and requirements.txt. This installs a HTTP client and the Minio client into the function. Let's work on the loadimages function. The input will be a JSON payload with the URLs we need to download and process in the function. These URLS point to two colour images from Pexels.com - free stock art images. Now update the YML file for your function with the environmental variables needed for accessing Minio. These can also be put through secure Kubernetes or Docker secrets at a later date. Now we need to build, deploy and invoke the function. If you're using a single-node cluster or your laptop you shouldn't need to push the images to the Docker Hub. You'll see the two image filenames which were uploaded are returned to you on the console in a JSON array. These files will now be available in the "incoming" bucket in Minio. You can open the UI at http://localhost:9000 or whatever IP address you used. Let's work on the processimages function. Now we could add a dependency to ImageMagick to do the B&W conversion, but OpenFaaS already has a function that we can deploy for this and then call it from our function. fprocess: "convert - -colorspace Gray fd:1"
You'll see that the convertbw function is using an image from the Docker hub so we can add a skip_build entry. It also doesn't need access to Minio so we don't provide the environmental variables for it. Now let's invoke the processimages function using the output of the previous function. The output from the ProcessImages function gives the new location in the processed bucket of the black and white photos. $ mc cp myminio/processed/6b70561c-35a4-410c-a216-5582c6da6afe . In our instance if you add a .jpg extension to the file you should be able to open it in Finder / Windows Explorer etc. We now have two functions which form part of a pipe-line so that we can separate the downloading of files with the processing of them. Object storage is provided by Minio which means we can store the results of the functions easily and pass them along from one function to another by filename. This example is not a finished product, that's where you come in - so here are some ideas for enhancements you could make. Perform your own transformation or analysis on the files - perhaps use audio files or videos instead of plain JPEG images. You could have the resulting processed images sent over to your Slack channel via a HTTP POST. Create a "director function" which creates a workflow between the LoadImages and ProcessImages functions. Head over to GitHub or the project website to keep learning. If you'd like to contribute please check out our contributing guide for all the ways you can help.